Hillary Clinton has responded to reports that she called for WikiLeaks founder Julian Assange to be attacked by a drone in 2010. Speaking at a press conference in Pennsylvania on Tuesday, Clinton responded to a reporter’s question as to whether she had ever joked about taking Assange out with a drone. “It would have been a joke, if it had been said, but I don't recall that," she added. True Pundit broke the news of Clinton’s alleged statement on Sunday, reporting the then-secretary of state asked, “Can’t we just drone this guy?” in a State Department meeting to discuss the whistleblowing site and its planned CableGate leaks in November 2010. 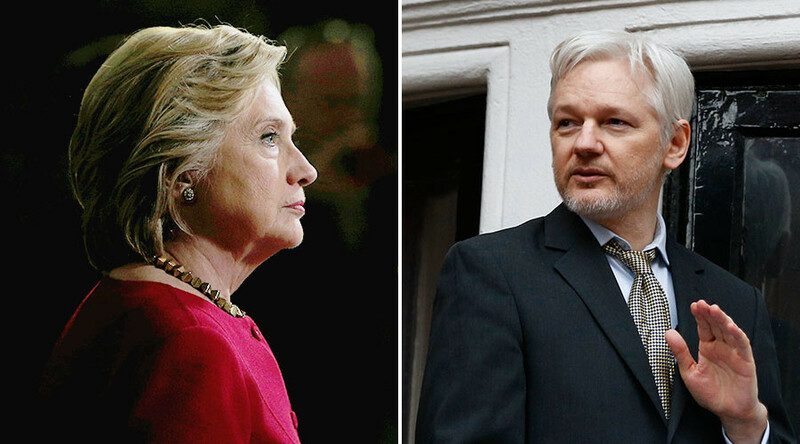 Clinton held a number of meetings to discuss what could be done about WikiLeaks and Assange. The site had already exposed damning secrets about the wars in Afghanistan and Iraq, which included the infamous ‘Collateral Murder’ video of a US Apache helicopter opening fire on civilians and journalists in Iraq. Clinton campaign manager Robby Mook also responded to the accusation on Fox 5 DC on Tuesday. “I’m reticent to comment on anything that the WikiLeaks people have said. They’ve made a lot of accusations in the past,” he said.